Come to the FASHION & TRAVEL SALE Fair on June 22-24, 2018 at the Glorietta Activity Center. 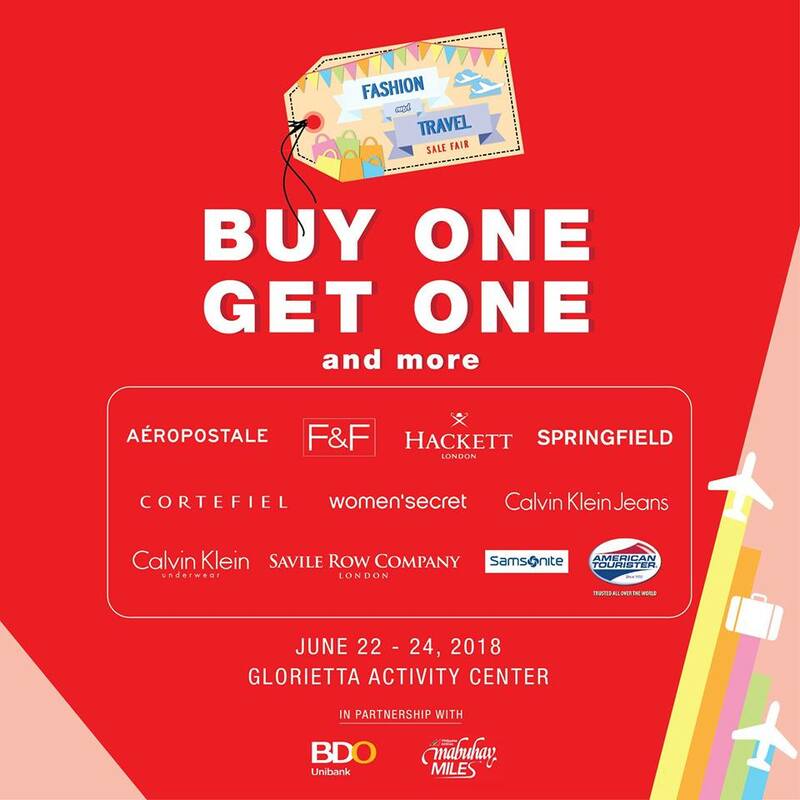 Enjoy Buy 1 Take 1 offers on fab finds from participating brands - Aeropostale, F&F, Hackett, Springfield, Women's Secret, CK Jeans, Calvin Klein, Samsonite, American Tourister, and more! *Use your BDO credit cards and enjoy Buy Now Pay Later program at 0% installment for 3, 6 and 12 months.